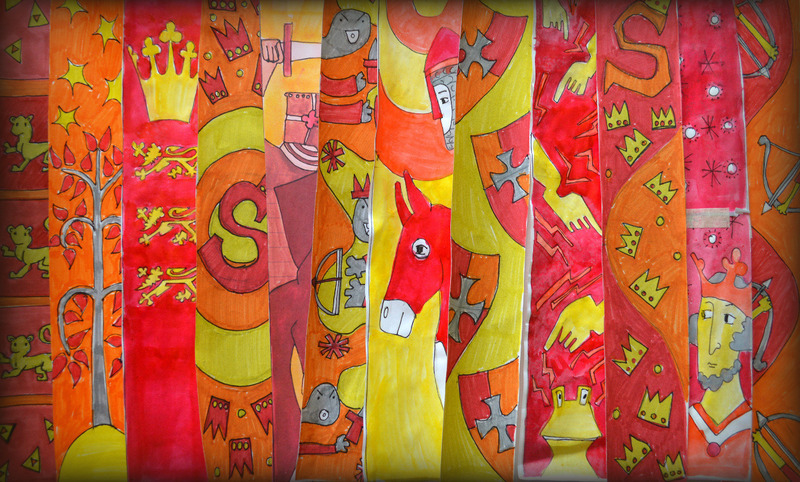 Being involved with the Swineshead Pageant this summer has brought about the creation of lots of fantastic art work for the pageant. 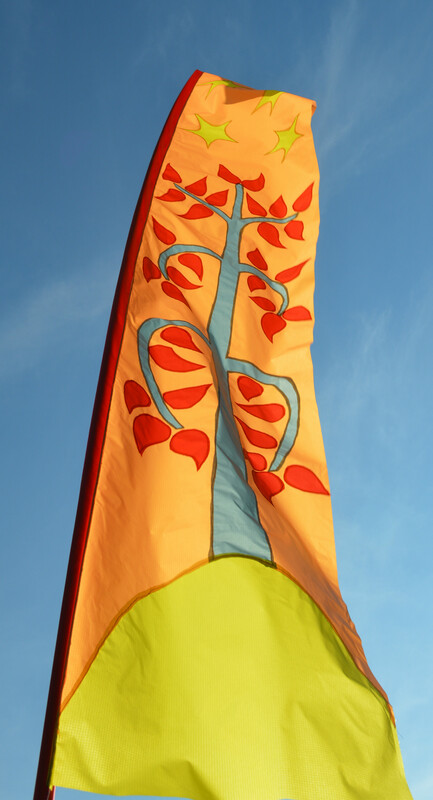 This is one of my favourites so far, as I love making these festival flags. They make such a bold statement, cheer up any skyline and lend themselves to community involvement. To begin with, I worked with the youth club members from Swineshead Youth Club. 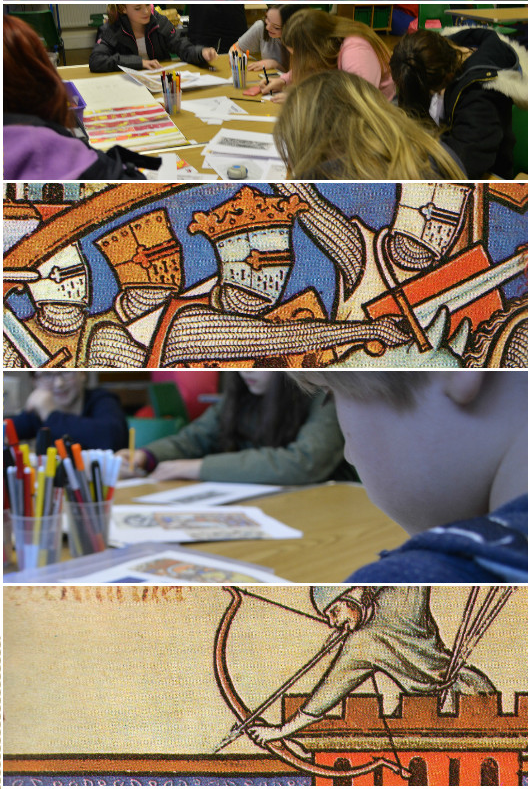 They came up with lots of ideas and drew up designs based around medieval images and stories as Swineshead has a great wealth of history. King John visitied the Abbey in the village just after losing his treasure in 1216 plus rumour has it that he may have been poisoned by one of the monks. The young people came up with some brilliant ideas and drew up different ways to illustrate the medieval history of the village. Sometimes even the smallest sketch can show a little gem that would look great on these banners. These ideas where then drawn and painted into 12 designs - using 3 main colours of red, orange and yellow and 2 extra colours of grey and white to help balance the designs. These were then drawn up to scale to use as patterns for the flags. 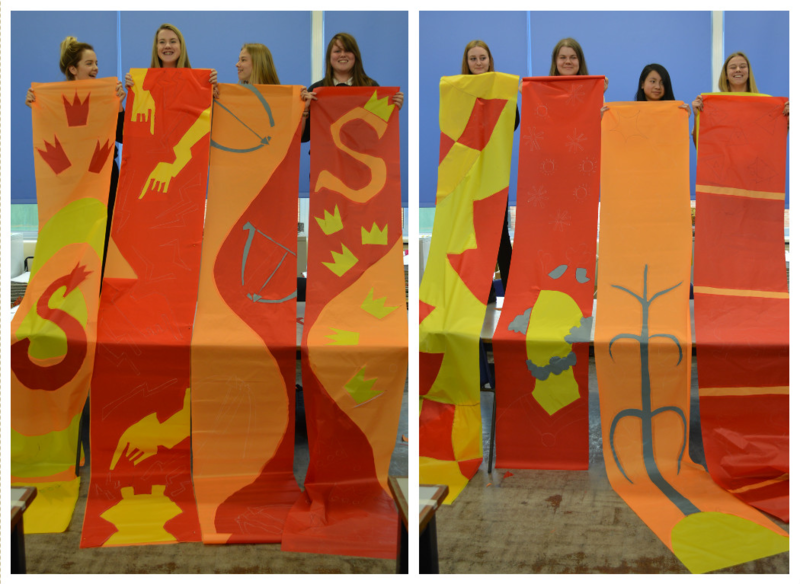 A group of students at Haven High Academy then began the process of transforming the designs into flags. We started with making samples so they could practice the techniques needed to make these flags. This also meant they had something to keep after all their hard work. They photographed the process and will put their samples in their sketchbooks, so who knows what this might inspire in the future. 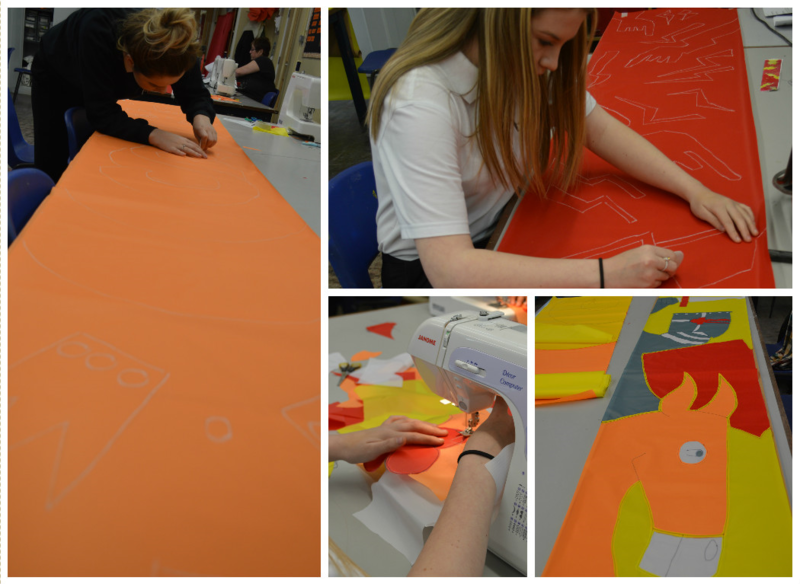 Some of these students had not used a sewing machine before so it was a great lesson to start to gain these skills, this also highlights how brave they are for tackling such a large scale project. The students were a really great group to work with, they each worked incredibly hard on one flag. Drawing on the pattern and then beginning to add the different colours of their flags design. Each design is completely different so a lot of concentration and confidence was needed especially when it came to cutting out the designs in their fabric. Eight flags off to a great start. 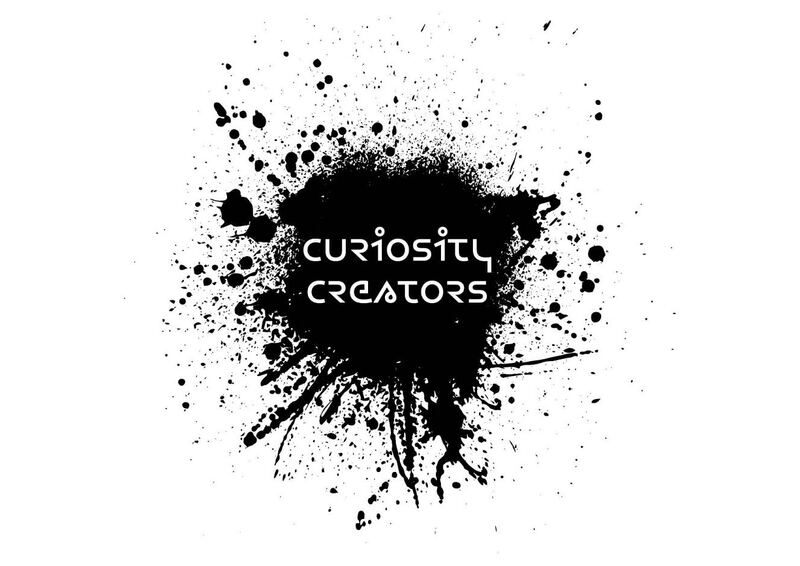 Big huge thank yous to Bethany, Hilly, Millie, Ann Marie, Sandra, Jessica, Leah and Inga. These flags have slowly been completed to make a set of 12 for the pageant. If you would like to come over and see them and all the other festivities on the day - put the date in your diary - 25th & 26th June. Swineshead Village, Boston. 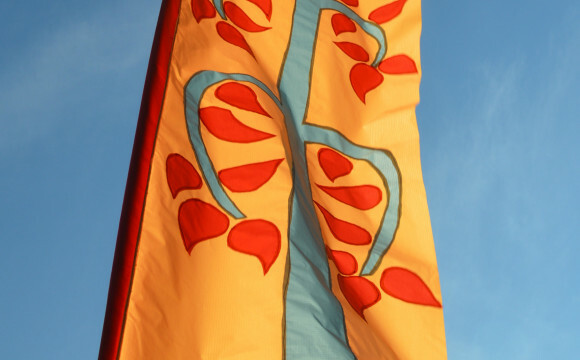 Keep an eye on the Swineshead facebook page for updates on the pageant - its going to be a great weekend. The full set. 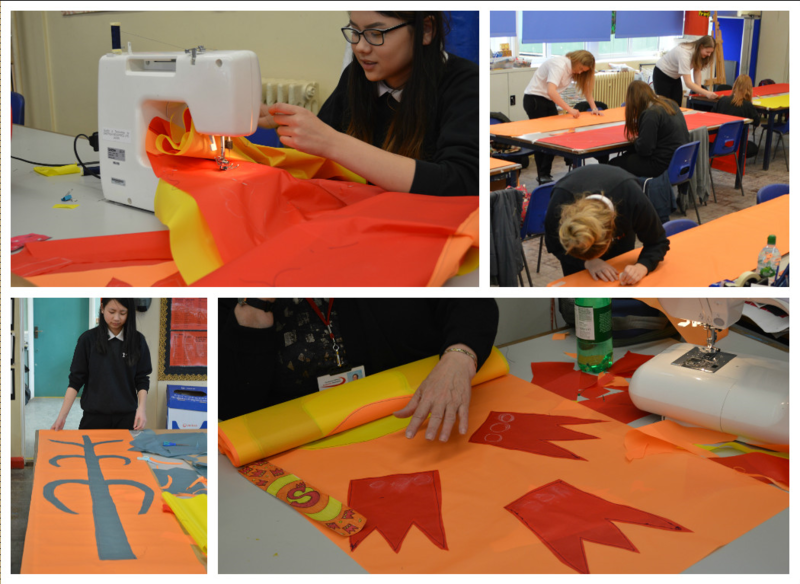 Well done to everyone involved in all aspects of the workshops for these flags, they look brilliant - can't wait to see them brightening up the sky in June. Do click on the photo and see these close up, they look fantastic! !